Cody Wilson, responsible for the world’s first 3D-printed gun, has developed a machine called the Ghost Gunner capable of manufacturing unserialized semi-automatic rifle from the comfort of your own home. 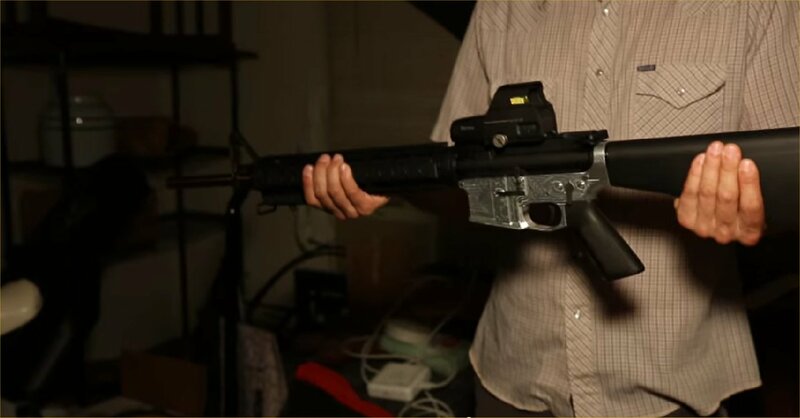 Wilson’s all-in-one desktop CNC mill can easily produce an aluminum lower receiver of an AR-15 rifle in merely a couple of hours. The Ghost Gunner focuses on manufacturing the lower receiver, the part of a gun that is legally considered to be a firearm under United States law, which connects the stock, barrel, and magazine. Other parts of the firearm you are wanting to produce have to be bought separately, but luckily many of the parts needed besides the lower receiver are widely available. While the Ghost Gunner is certainly impressive, producing an AR-15 with the machine will run you about $2,000. That’s double the amount you would pay for an already-assembled AR-15 at a gun store. Wilson sees his latest innovation as more of a political statement than a product end-all-be-all DIY gun machine, as the Ghost Gunner is a major step towards fighting gun regulations.